a few weeks ago, ryan built an awesome bench for my dance studio out of a few 2x4s. everyone has been loving the new bench, and it has been getting a lot of use. in fact, the studio director loved it so much that she requested two more for our studio lobby. 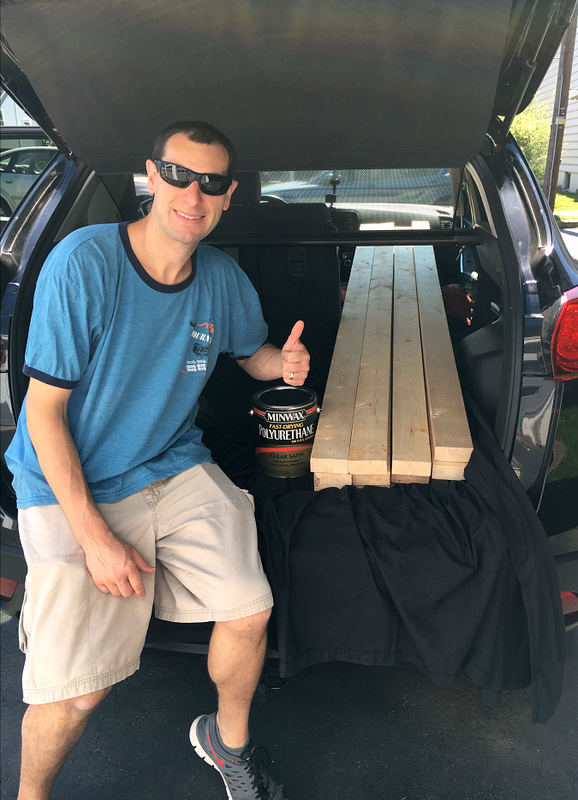 so, on sunday ryan and i took a trip to lowe's to pick up twelve 2x4s, some screws, and some polyurethane. we spent the day in our garage building two additional benches. the weather was absolutely beautiful, so it was really nice to be able to work out in the garage with the doors open. to protect our hard work, we put two coats of polyurethane on all three of the benches which gave them the perfect finish. we're so pleased with the way our benches turned out, and we can't wait to show them off next week at the studio's open house! we had a lot of fun spending time together working on this project. i love when ryan and i get a chance to work on projects like this together, it's always so much fun and makes for a fun "little date!" i'll definitely take pictures of the benches as soon as the polyurethane dries and they are set in place in the studio! The two of you work together so nicely. 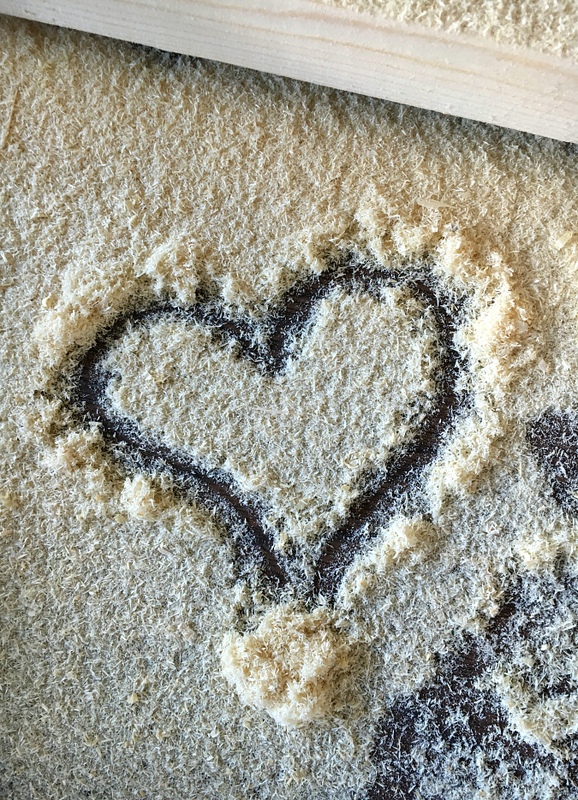 Love the heart in the sawdust. That's a great photo of Ryan and I like the heart in the sawdust. You are very lucky to have such a smart hubby and one that likes to work with you!